Product prices and availability are accurate as of 2019-04-19 03:30:13 UTC and are subject to change. Any price and availability information displayed on http://www.amazon.com/ at the time of purchase will apply to the purchase of this product. 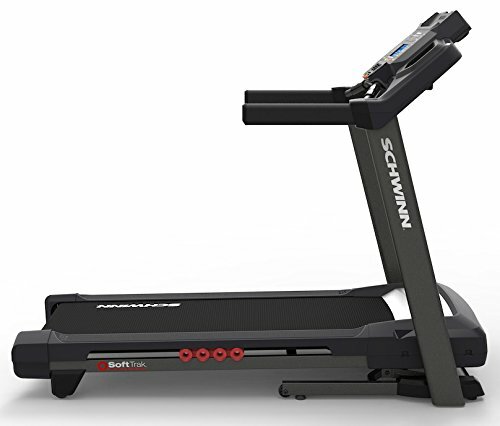 Walk your way to fitness with our Schwinn MY16 830 Treadmill. 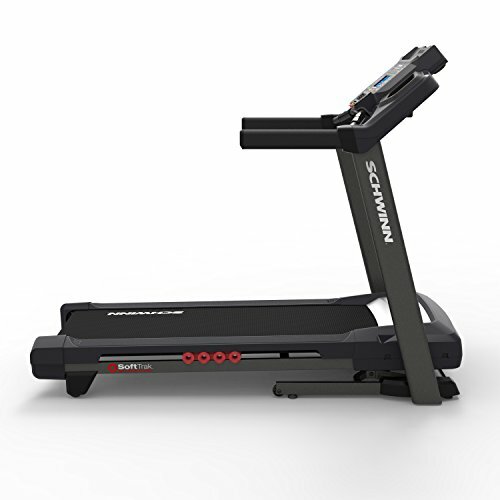 Featuring a USB charging port and MP3 input, play music through the console to power you through your workout. Upload your progress to a variety of popular fitness apps to track your results. 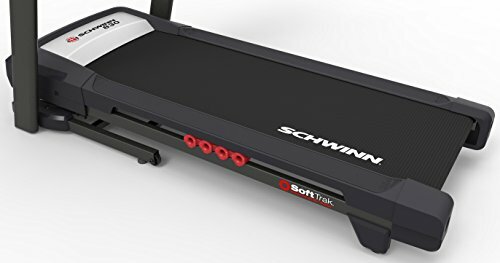 Additional Information: SoftDrop deck folding system to easily move or store the treadmill 4 cell Softrak deck cushioning system reduces joint stress Onboard screen system offers increased visibility to programs and goal tracking Transfer metrics via USB to the SchwinnConnect website and popular apps like UA, MyFitnessPal, GoogleFit, Apple Health, Endomondo, MapMyRun/Ride Charging USB port to devices at full battery life MP3 input for in-console speakers Media shelf Adjustable three speed fan 22 preset exercise programs including manual, quick goal, train, weight control, heart health, interval, and custom workouts Motorized 0-12 degree incline offers challenging resistance 2.75 continuous horsepower motor keeps up throughout the workout Speed range of 0-12 MPH to easily increase or decrease your pace 4 user profiles Water bottle holder Track time, distance, and calorie goals and transfer metrics to popular apps. 22 preset exercise programs. 2.75 continuous horsepower motor. Top speed of 12 MPH. 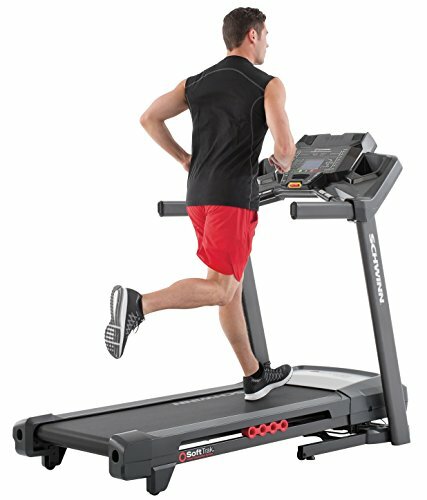 Adjustable 0-12% incline. 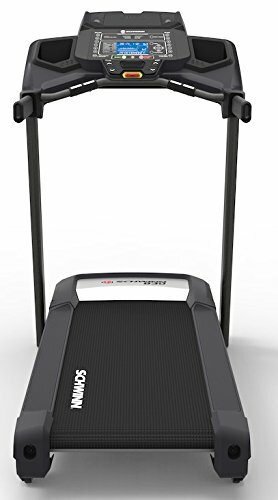 Weight capacity: 300 lbs.. Warranty: 90 days. 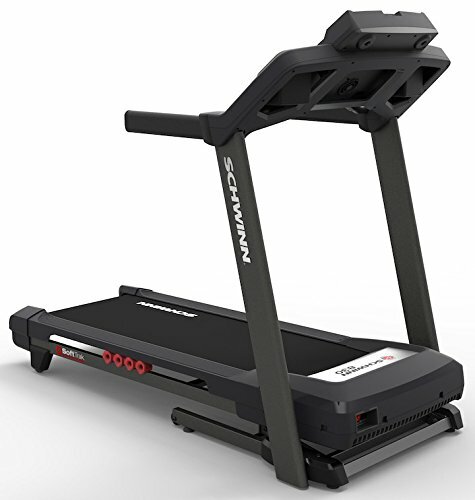 Dimensions: 72.2W x 35.2D x 57.6H in..